The holiday season has already begun and is slowly heading toward its prime time. There’s nothing like decorating your holiday home with color, shimmer and textures. 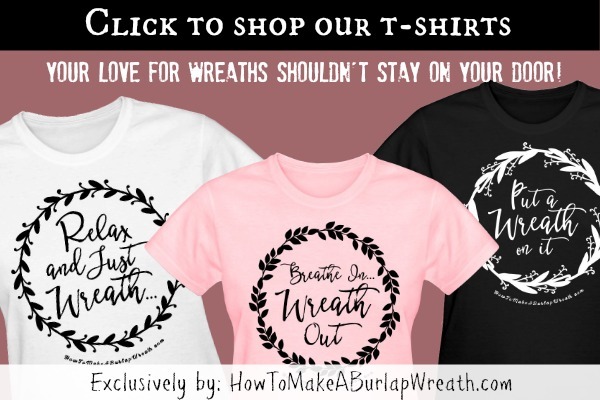 Wreaths can come in various shapes, sizes and can be made of any materials. This season get inspired to break away from the traditional wreath with these festive decor ideas to grace your holiday home. 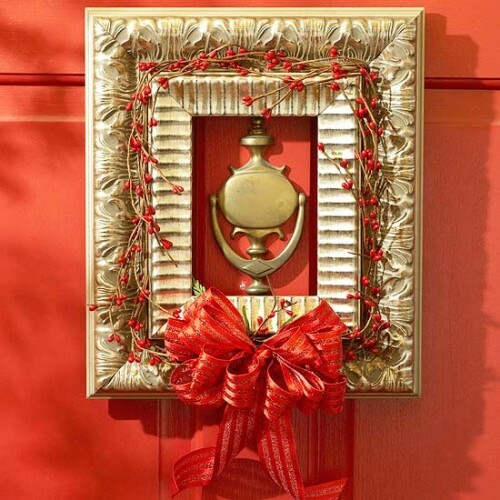 An eye-catching wreath always adds to the value of your home’s entire decoration. 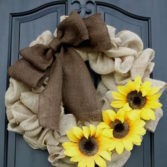 A door wreath is one of the first things that your guests will be greeted with. So, check out these decorative wreath ideas that will give you much inspiration for your holiday home decoration. Say goodbye to traditional wreaths with this creative picture frame wreath. 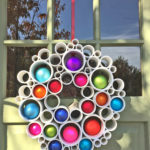 Think of hanging this wreath at your front door! The idea is simple but the execution is very festive. Moreover, the red ribbon and the artificial branches with red fruits scream just one word – CHRISTMAS! Picture frame wreath for Christmas! Two is always better than one! Double the fun and enjoyment with this decorative wreath! Here, a grapevine wreath is framed around another small, cute cranberry wreath. 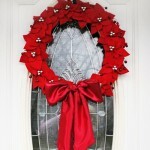 The red cranberries and the cute ribbon tying the two wreaths together are perfect for any holiday theme. You can decorate the wreath a bit more by adding holiday sprigs and crystallized apples. Double the fun with this cute wreath! 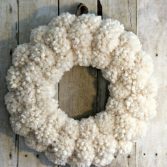 If you are not a fan of all the showy and pompous decorations, this wreath is for you. 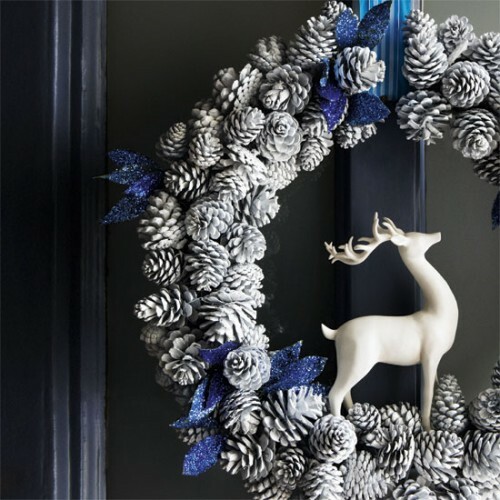 Artificial pinecones in silver color add sophistication and elegance to the wreath while the glittery, blue ribbons and the white reindeer in the middle just add up to the whole look. 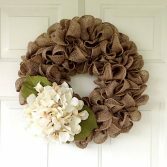 Add elegance and sophistication with this beautiful wreath. Christmas and winter are like two sisters! 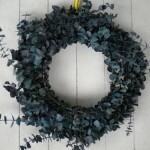 So, a ‘swag’ wreath with a winter theme will go very well with your Christmas decoration. This winter wonderland is beautiful with two skating shoes attached to it. In addition, the swag wreath adds a different touch than any traditional circular wreath. 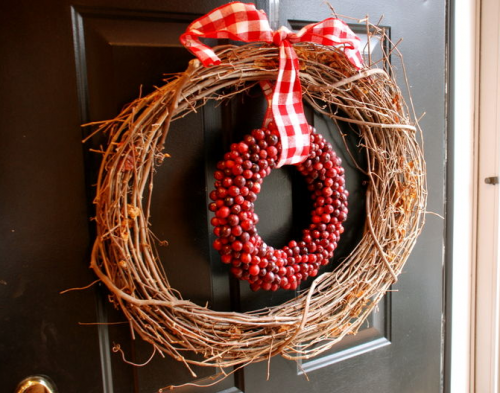 Our collection of decorative wreath ideas is perfect for celebrating a festive holiday. The ideas are unique and beautiful, perfect for inciting your creative self and taking décor inspirations for your home for the holidays. 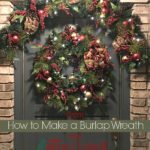 For more holiday and Christmas wreath ideas, click here.